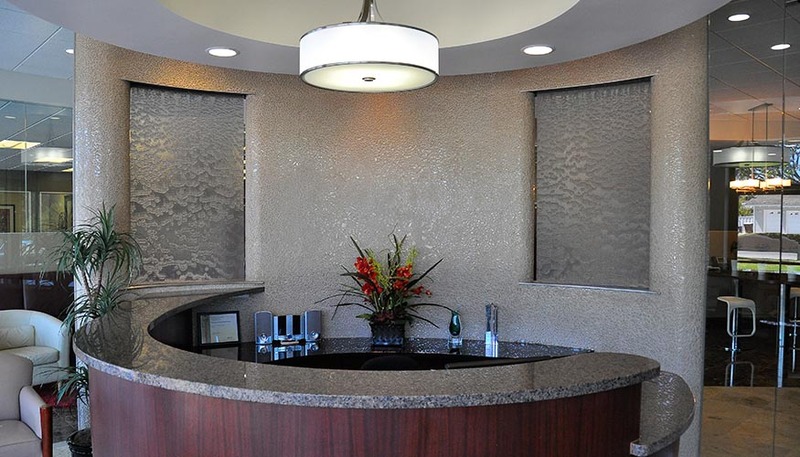 These thin mesh panels are tensioned and curved to match the contour of the wall. Water elegantly cascades from a simple slot above and disappears into the recessed reservoir below. Bright blue LED lights perfectly accentuate the flowing water from above. This Thin "veil" of water can be admired on the front and back side, to make this the ultimate partition.